A Special Self Defense System for Seniors... The older population--persons 65 years or older--numbered 39.6 million in 2009. We represent about 13% of the U.S. population, about one in every eight Americans. By 2030, there will be about 72.1 million, more than twice our number in 2000. People who grew up in the 1930s, 1940s, and 1950s were generally raised to be polite and trusting. Criminals exploit these traits. Senior citizens are most likely to have a "nest egg", to own their home, and to have excellent credit; all of which make them attractive to con artists, thugs and burglars. On city streets thugs regard us as low risk targets of opportunity. Prepared specially for seniors, this book opens the door to self defense for almost 40 million Americans age 65 and better. Regular martial arts classes abound in all communities but they assume a level of agility, balance, strength, and stamina that evaporated from most people long before senior status was reached. This book bridges the age gap. It introduces a self defense technique that gives seniors an edge. 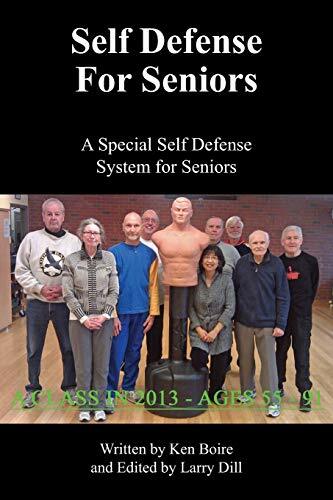 Self Defense for Seniors will be followed by two other books; Self Defense for Single Seniors, and Self Defense for Traveling Seniors. Ken Boire has written two Pacific Northwest novels, In the Company of Fishers, and Inherit the Tide. He has short stories and academic publishing to his credit. He has shared authorship on three college level texts and has prepared a number of special economic studies for clients.